While summer is a good time for fun outdoor activities and vacationing, it is also an ideal time for academic skills improvement. Hiring for a summer school tutoring Santa Clarita, CA can help enhance your child’s academic aptitude; in-home tutoring services today are quite comprehensive and designed to meet your child’s academic needs. As your hired summer school tutor works to help your child brush up on lessons taken during the previous school year, your child will not just learn new skills and academic strategies but will nurture his confidence from within as well, which is helpful as your child embarks on a new academic journey in the next school year. A summer school tutor can implement teaching techniques tailored to your child’s specific needs. By making an assessment on areas of strength and weaknesses, a tutor from Santa Clarita In Home Tutoring can have a tutoring program designed for areas that need enhancement. Summer school tutors can also help your child enhance interpersonal skills; your child will be taught about how to interact ideally on various occasions. Usually, your child is just a listener in a classroom set-up. With summer tutoring however, your child will not be intimidated to speak his/her mind and to ask questions – two-way communication strategy employed by tutors is key for interpersonal skills enhancement. If your child desires to enroll in college, tutoring can also be a big help; it can make your child to become better prepared for scholastic assessment test or college admission test. 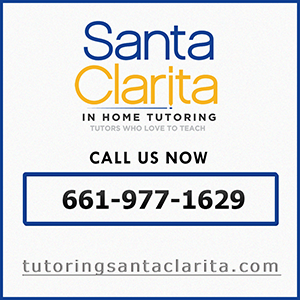 Many tutoring service providers today, including our summer school tutoring Santa Clarita, CA, have programs designed to help students for their SAT/CAT. Looking for a summer tutor? Contact us today. Have you considered hiring a summer school tutor Valencia, CA for your child lately but still not sure if doing so it worth it? Well, here are some of its benefits that might help convince you to hire one. While summer is good to be spent on fun outdoor activities and vacationing, it is also an ideal time for academic skills improvement. Hiring a summer school tutor Valencia CA can help enhance your child’s academic aptitude; in-home tutoring services today are quite comprehensive and tailored to your child’s academic needs. As your hired summer school tutor works to help your child brush up on subjects tackled during the previous school year, your child will not just learn new skills and academic strategies but build confidence as well, which is necessary as your child embarks for a new academic journey in the next school season. A summer school tutor can employ teaching strategies tailored to your child’s unique needs – by making an assessment on areas of strength and weaknesses and provide support accordingly. A summer school tutor can also help your child enhance interpersonal skills; your child will be taught about how to interact appropriately on different occasions. While in a classroom set-up your child is usually just a listener, with summer tutoring, your child will not be intimidated to speak his/her mind and to ask questions – two-way communication strategy employed by tutors is key. As your child learn and discover new things in summer tutoring, he/she will learn to love and value education the more. Valuing education is a tool to make your child desire to learn more and will eventually seek to pursue higher education. If your child desires to enroll in college, tutoring can also be a big help; it can make your child to become better prepared for scholastic assessment test or college admission test. Many tutoring service providers today, including our summer school tutor Valencia, CA have programs designed to help students become better prepared as they take the SAT/ACT. Have more questions on summer school tutoring? Contact us today.